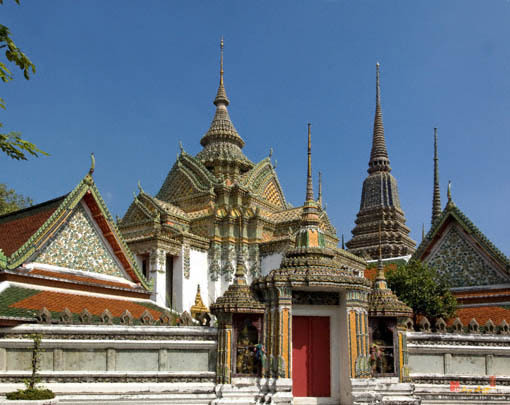 Wat Po (วัดโพธิ์), Wat Pho (วัดโพธิ์), or Wat Phra Chetuphon Wimonmangkhalaram Ratchaworamahawihan (วัดพระเชตุพนวิมลมังคลาราม ราชวรมหาวิหาร) is actually much older than the city of Bangkok itself. 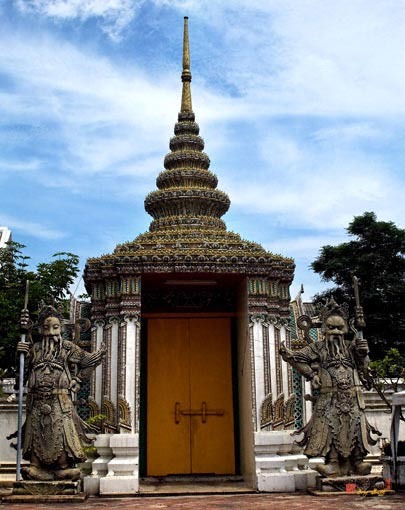 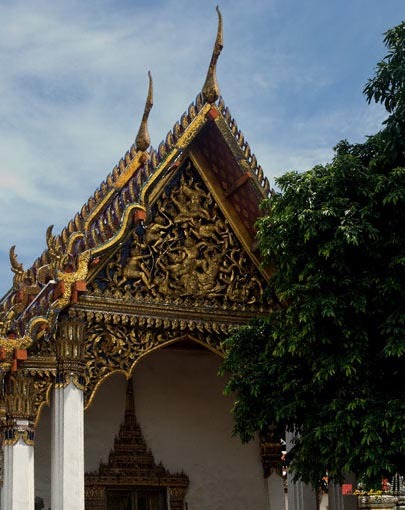 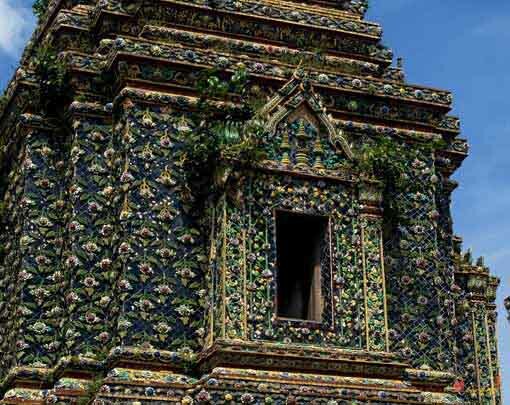 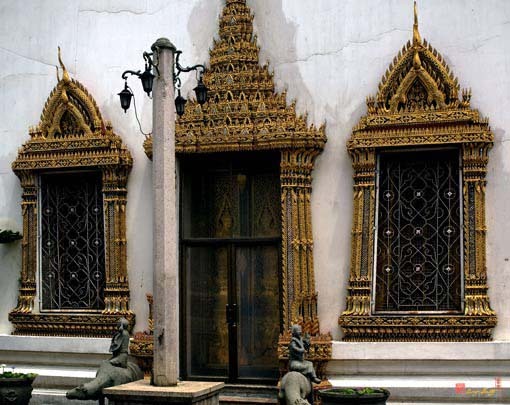 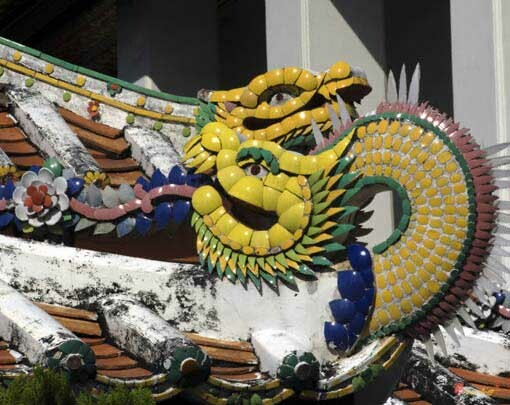 It was founded in the 17th century, making it the oldest temple in Bangkok. 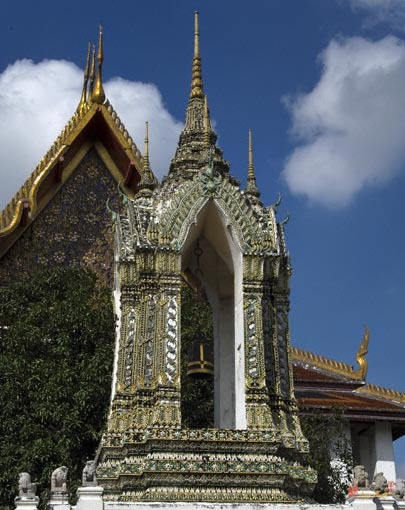 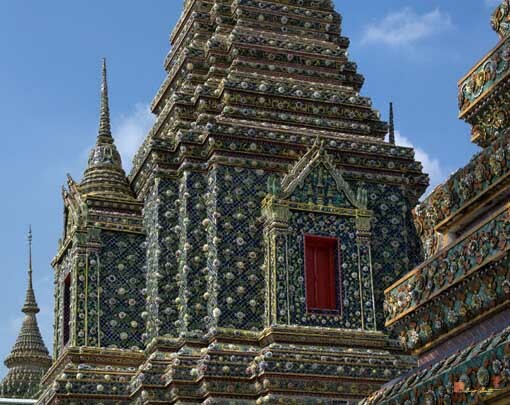 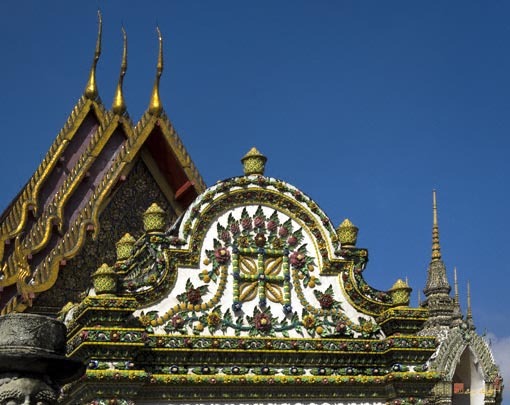 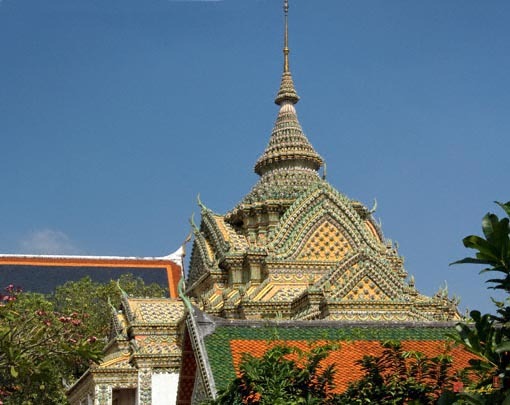 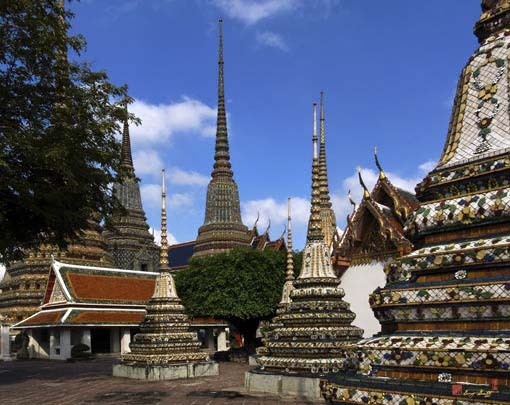 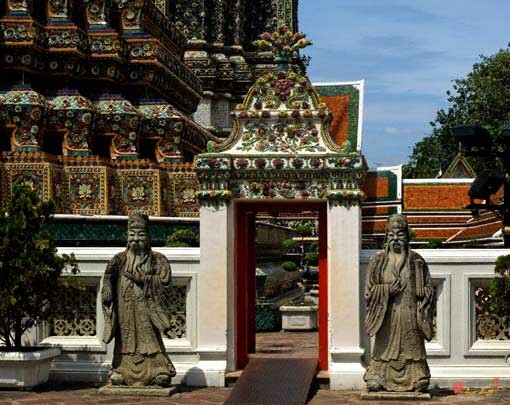 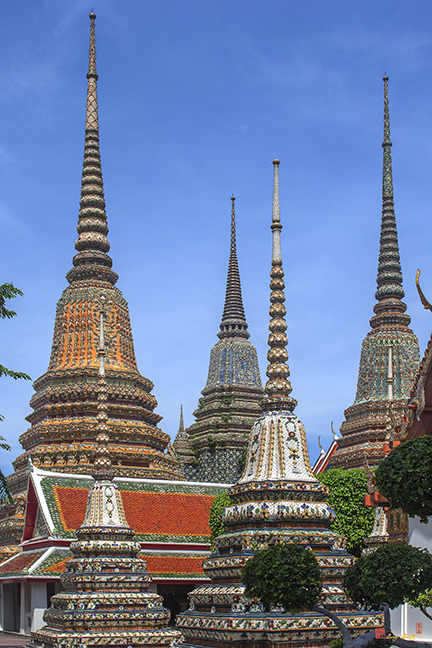 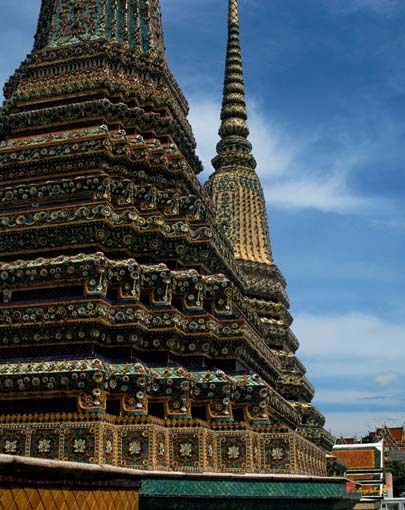 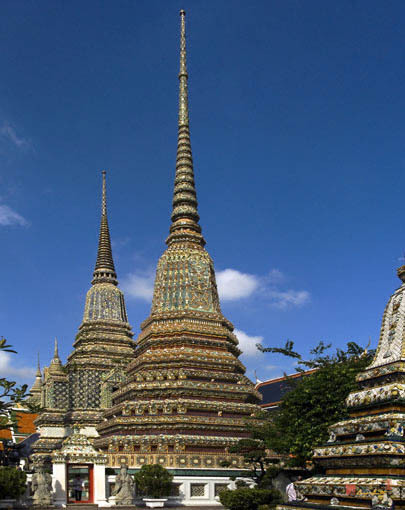 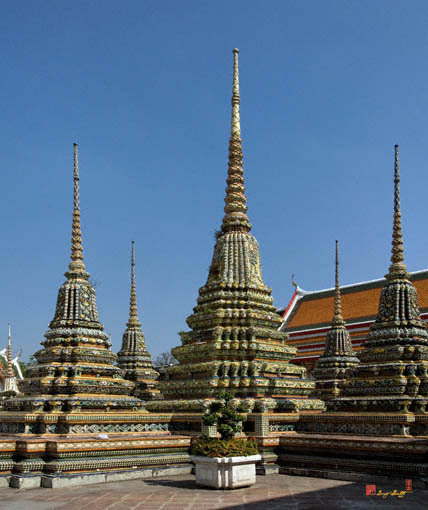 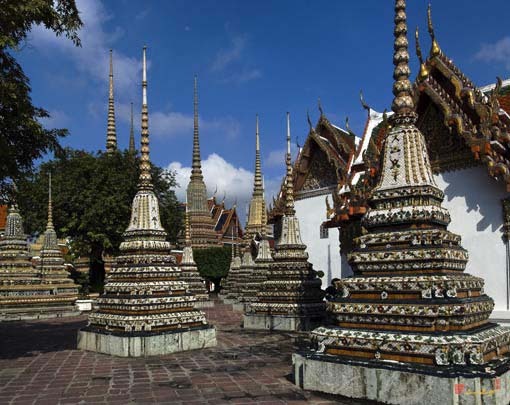 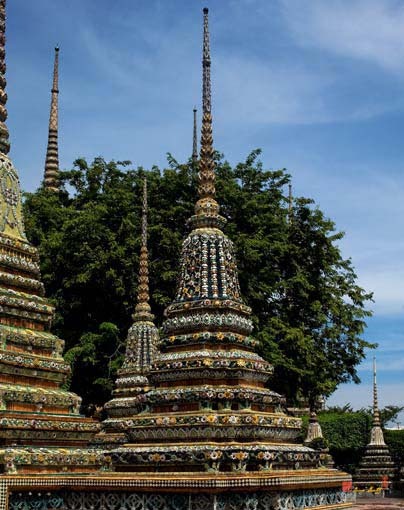 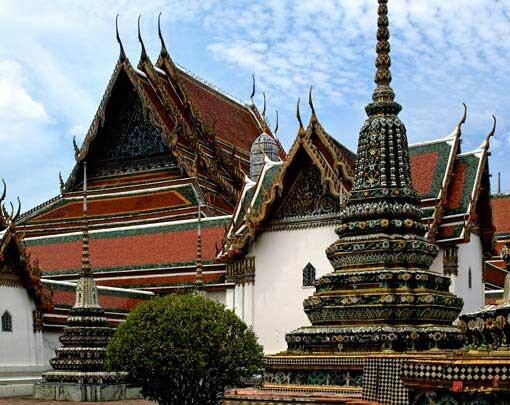 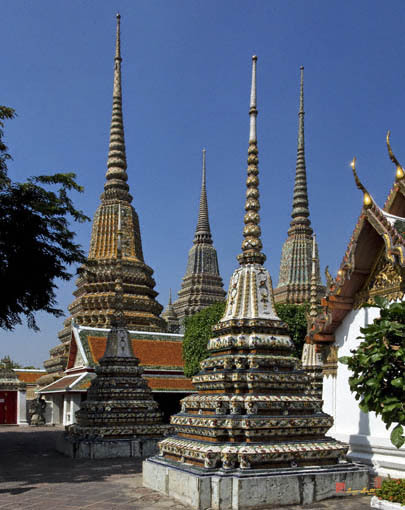 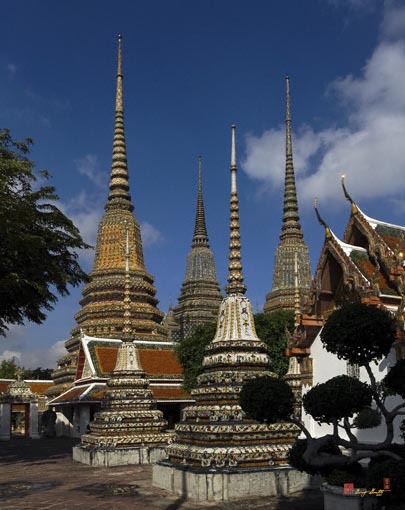 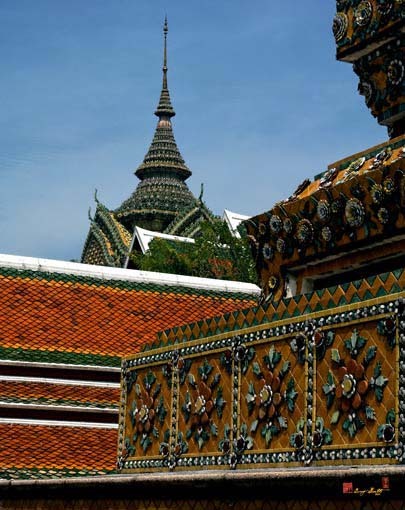 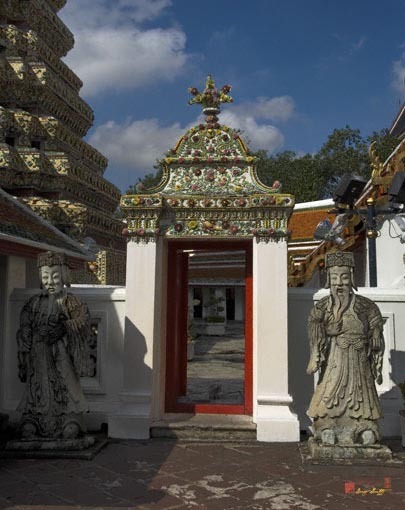 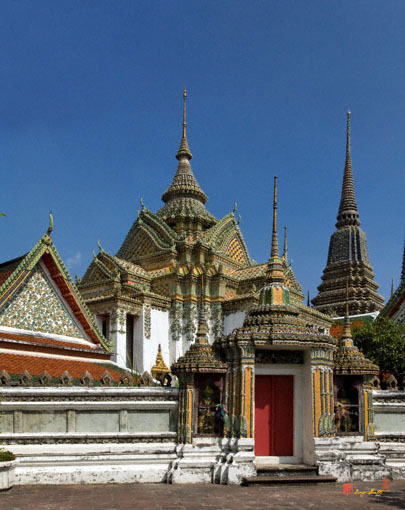 The name Wat Po or Wat Pho comes from its original name of Wat Potaram. 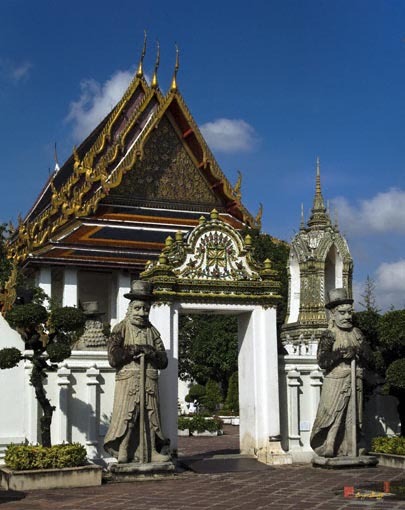 King Rama I, the founder of Bangkok, enlarged the temple, installed many statues and other artifacts recovered from Ayutthaya, and renamed the temple Wat Phra Chetuphon in 1801 (B.E. 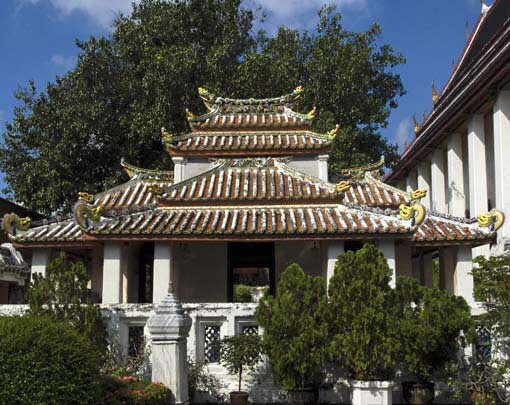 2344). 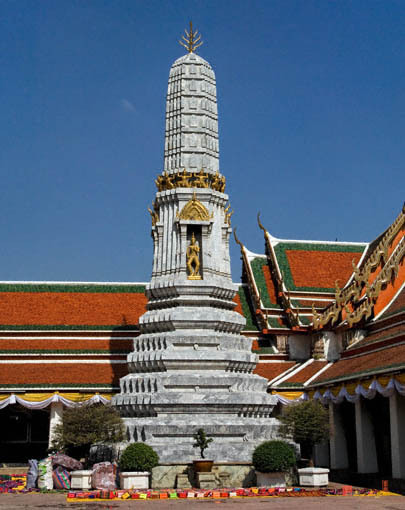 Rama III enlarged the temple in 1832 (B.E. 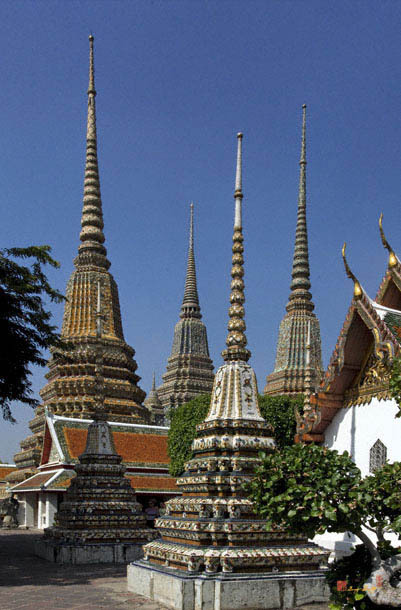 2375) and turned the temple into a center of learning, making it in essence Thailand's first university. 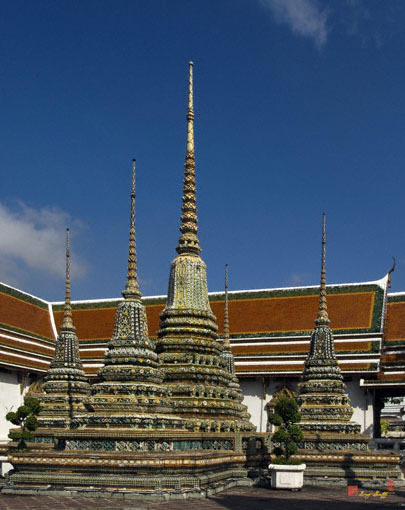 Rama III is also constructed the reclining Buddha. 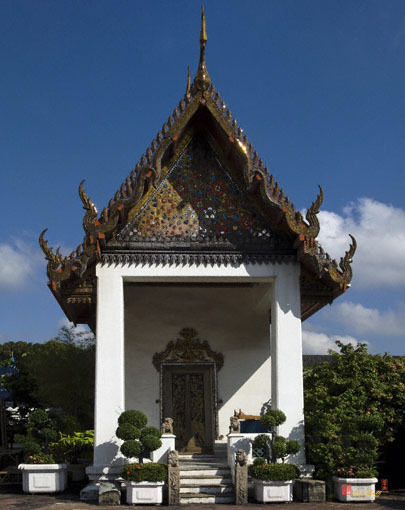 Wat Phra Chetuphon Wimonmangkhalaram Ratchaworamahawihan is a first class Royal Monastery of Ratchaworamahawihan. 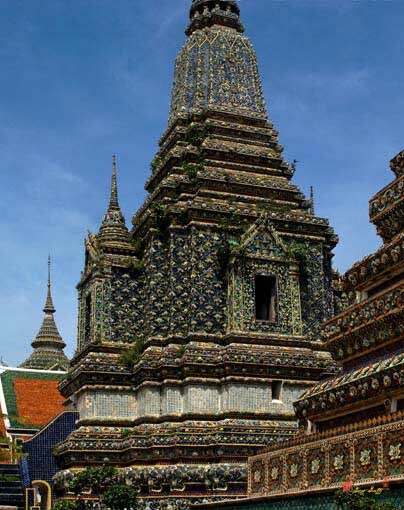 It was originally an old temple from the Ayutthaya period named Wat Photharam, but always called Wat Pho by the people. 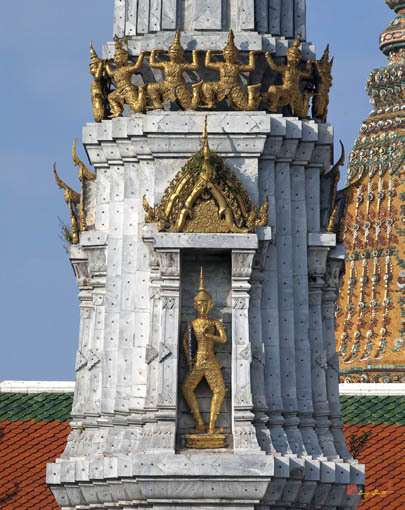 King Rama I had the entire temple restored in 1788 (B.E. 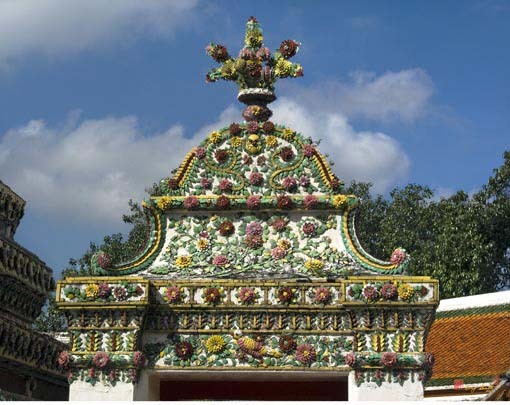 2331) and ordered that all Buddha images from deserted temples in the countryside be brought to the Ubosot (the Ordination Hall) to be enshrined there. 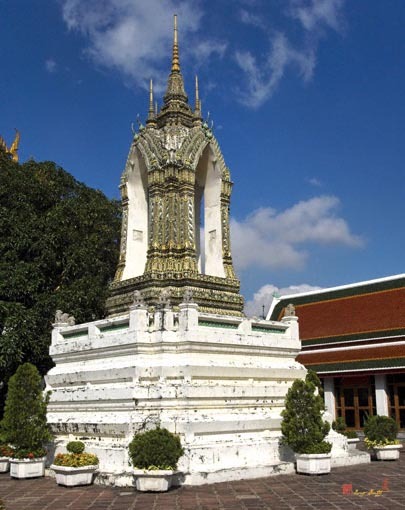 After the temple dedication celebration was held in 1801 (B.E. 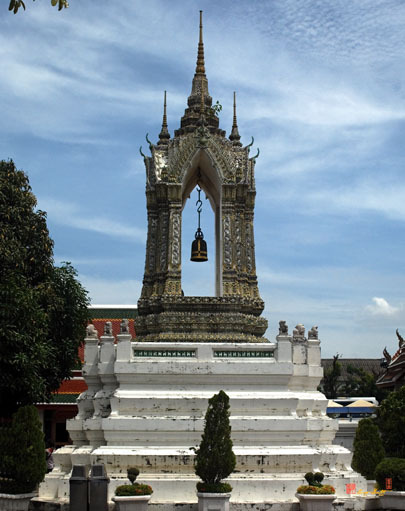 2344), it was renamed to Wat Phrachetuphon Wimonmangkhalawat. 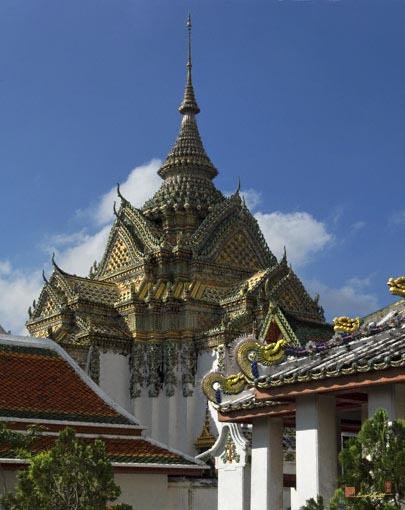 In the reign of King Rama III, the monastery received another grand renovation. 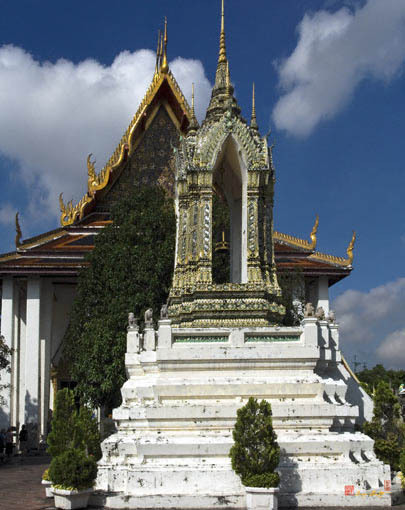 The King also ordered that scattered intellectuals be brought to the temple and that texts be inscribed on marble slabs around the temple so that people could read and learn. 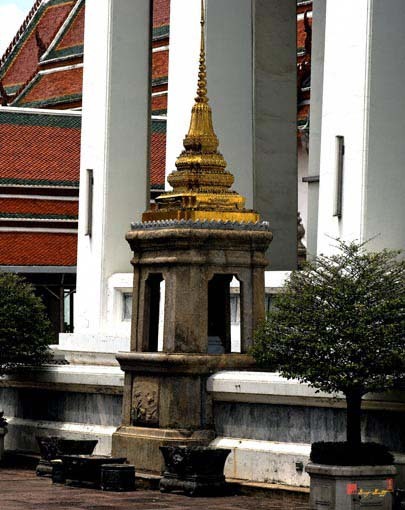 As a result, the temple was regarded as Thailand's first university. 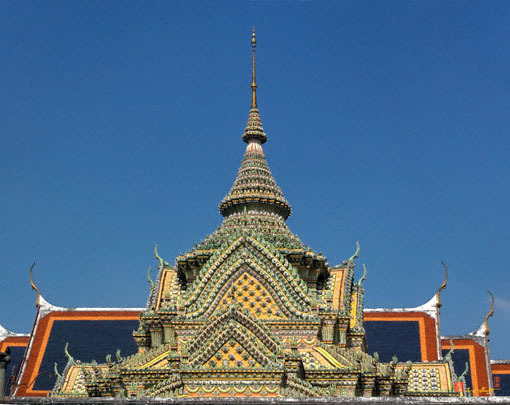 In King Rama IV's reign, the temple was partly restored and renamed to Wat Phra Chetuphon Wimonmangkhalaram Ratchaworamahawihan. 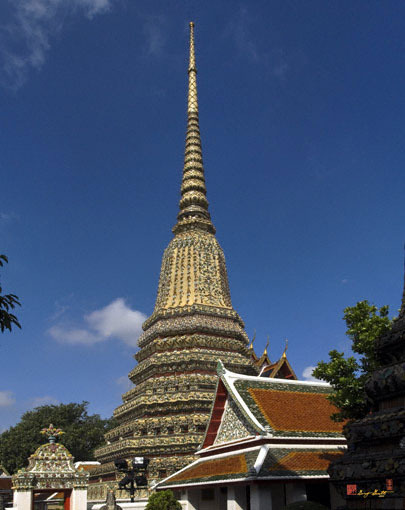 In the temple, which is considered to be King Rama I's favorite temple, there are many religious buildings and objects worthy of observation and study, including the Reclining Buddha, Phra Maha Chedi of four Kings, statues of hermits demonstrating the various positions of massage, and several Chinese stone warriors. 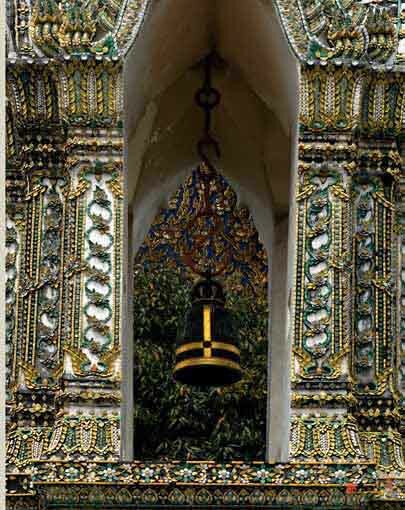 Adapted from an historical sign at Wat Phra Chetuphon.